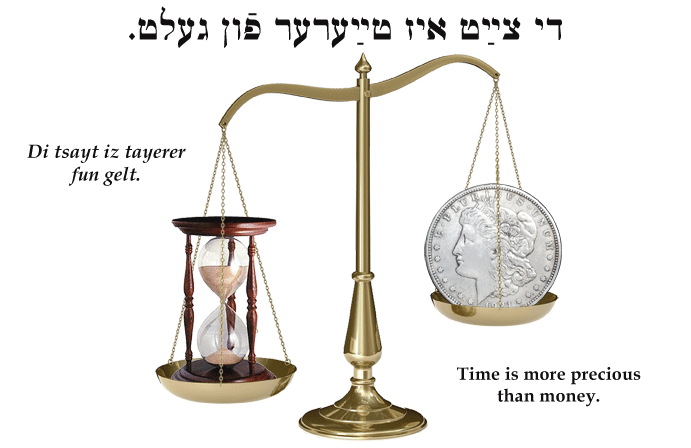 Yiddish Proverb: Time is more precious than money. ‏די צײַט איז טײַערער פֿון געלט. Di tsayt iz tayerer fun gelt. Time is more precious than money.